More visits do not necessarily mean good news. This appears to be the case, at least, for Facebook. The popular social networking service should have been celebrating a milestone event, like the breaching of the 1-billion mark for active users, but this major development is turning out to be a major headache, and if nothing is done pronto, this would come down as another epic fail for the Manhattan-based company. People are going mobile these days and save for a few tasks, and these are mostly the more complicated tasks and processes like AutoCAD and programming, nearly everything else can now be performed using our mobile devices. This trend applies to social media as well. It is common knowledge that more people are now accessing Facebook and similar services using their smartphones and tablets. According to a Verge article, Facebook had 680 million mobile users as of December 2012 and this number represents more than 50 percent of the total number of monthly active users for the same period. Even for the uninitiated, this easily indicates that the major bulk of resources should be harnessed to take advantage of all the opportunities presented by this visitors’ profile, and this is where the problem lies. Those huge numbers don’t necessarily mean additional moolah for Facebook, Inc. Some experts are saying that Facebook executives need to get their acts together and do something fast as this can be an extremely damaging to the company even in the short term, and this is not just a simple case of missed opportunities. In order for us to understand the predicament of Facebook, we need to put things in the proper perspective. From a ‘low’ 1 million active users in 2004, Facebook is now the king of social media, logging in a huge 1.06 billion active users as of December 31, 2012. These are impressive numbers, by all indications. But what makes it more amazing is that Facebook was able to increase the number of its active users by 5 million in just 3 months. The Associated Press reported in an article dated January 30, 2013 that Facebook breached 1.01 billion of active users in September 2012. By its face value, these numbers should provide enough reasons for Facebook executives and stakeholders to be happy. Today, this popular social networking service is riding high on its enhanced accessibility as it is available on most mobile gadgets and this would include the feature handsets. This means we can expect dedicated availability of the service even for users who are mobile. Of course, when we are talking of more than a billion users, then positive gains and impressive margins are already considered foregone outcomes. This is where the problem lies. Just like in the case of Google, the income stream of Facebook is mainly anchored on advertisements. Apparently, Facebook is lagging by more than a step or 2 in the mobile aspect of its service. The main reason for this is that the operation of the social networking service is not properly monetized for mobile gadgets, including feature phones. 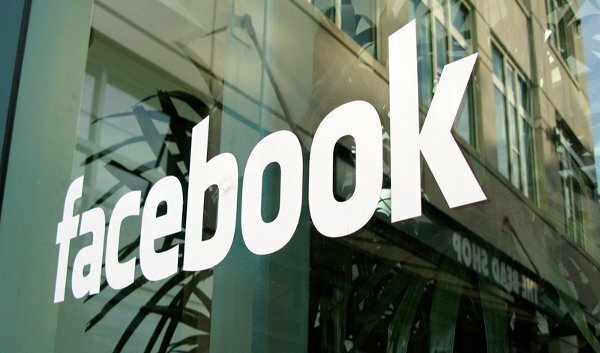 Based on the latest earnings report submitted, Facebook’s revenue on advertisements amounted to $1.3 billion for the last 3 months of 2012. This corresponds to 83 percent of the aggregate earnings, amounting to $1.5 billion, of Facebook for the Q4 of 2012. Now this is where Facebook is missing out on a lot of earning opportunities. Android phone users access the social networking service using the official app and only a few of the paid ads are available, if there are any at all. Facebook does not earn income when users don’t view these adverts. Based on the current numbers, Facebook earns about $1.54 per user, and this is way below the earnings of Google per user, which is pegged at $7. It is important to note that Facebook posted a net loss in Q3 of 2012, although it was able to turn things around in the last 3 months of 2012 and raked in an annual net income amounting to $64 million. Still, Facebook executives have a lot of ground to cover and assure stakeholders and analysts on Wall Street. They have to find the right formula to strike a balance between the usage stats and the earnings generated from mobile active users. The total revenue from mobile adverts only accounted for 23 percent of the aggregate earnings of Facebook. This situation may even bring about to a double whammy as we are seeing the migration of users previously accessing Facebook using their desktop PCs and laptops and shifting to smartphones and tablets. Clearly, this is a marked imbalance in the income stream of Facebook that has to be addressed and this must be corrected as soon as possible.